Contact Us at 866-869-3335 to Find the Right North Carolina Plumbing Contractors Insurance at the Best Rate for Your Business! Running a plumbing business comes with its share of issues. It can be hectic as you are organizing your daily jobs, giving quotes on potential jobs, and meeting the business demands that are unique to plumbing. However, none of that means anything if the insurance protection isn’t adequate. Paramount Insurance Agency is here to help you find the right North Carolina plumbing contractors insurance at the best rate for your business! Could Your Plumbing Business Survive if the Following Happens? The plumbing business can be a risky business and you may be one accident away from financial destruction if you are not properly insured. You need to ask yourself if your North Carolina plumbing business could financially withstand the following, if it should happen. What if one of your employees is repairing a leaky fixture and accidentally damages something else in the process? 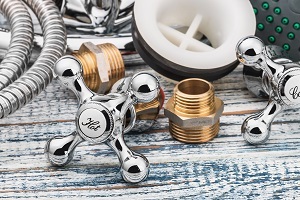 Could your North Carolina plumbing business survive a lawsuit? What if one of your employees is on a job in the company van, and causes an accident, injuring multiple people? If just ONE of these incidents occurs, it could cause your financial investment to go down the drain! Every plumbing business is unique and so should the insurance that protects it! Contact us at Paramount Insurance Agency so that we can custom build an insurance plan that fits your unique business needs and your budget! We Will Shop for You! Paramount Insurance Agency is an independent insurance agency, which means we work for YOU, and not the insurance company. By shopping your coverage with some of the top insurance companies, we can find the most affordable rate for your plumbing business needs! We will do all the work for you so that you will have the custom built insurance protection your North Carolina plumbing business deserves at the budget you need. Don’t Let Your Business Go Down the Drain! Paramount Insurance Agency insures plumbing contractors in Charlotte, Raleigh, High Point, Greensboro, Winston Salem, Wilmington, and all over North Carolina. Trust Paramount Insurance for all of your insurance needs including business auto, general liability, workers compensation, commercial property and more. Be prepared for when the unexpected happens. You have worked hard to establish your plumbing business and no matter how careful you are, accidents happen. That is why it is so important to protect your business with the right insurance so that your financial security will NOT go down the drain! Contact Us TODAY at 866-869-3335 for a Free No Obligation Quote on North Carolina Plumbers Insurance!